Marvel at the magnificent Saint Mark’s square at the mouth of the Grand Canal lined with cafes, shops, and a number of museums. This spot in the heart of Venice will leave you breath taken. Visit Palazzo Ducale and get a glimpse of the residence of the Doges who reigned the Republic of Venice for more than 1000 years. The magnificent palace includes frescoed walls, gilded ceilings and superb statues as well as the prisons, some of which are accessed via one of Venice's most famous bridges, the Bridge of Sighs. Explore the imposing Saint Mark’s Basilica, a superb example of Byzantine architecture, climb up to the top of Campanile and admire sweeping views of the whole city. Take a stroll across the iconic Rialto Bridge and enjoy unique views on the Grand Canal. Modern art lovers cannot miss the Peggy Guggenheim Collection showcasing artworks from famous artists of the 20th century including Pollock, de Chirico and Picasso. Take a romantic gondola ride through the canals of Venice and explore the city's famous bridges and buildings from a special perspective. 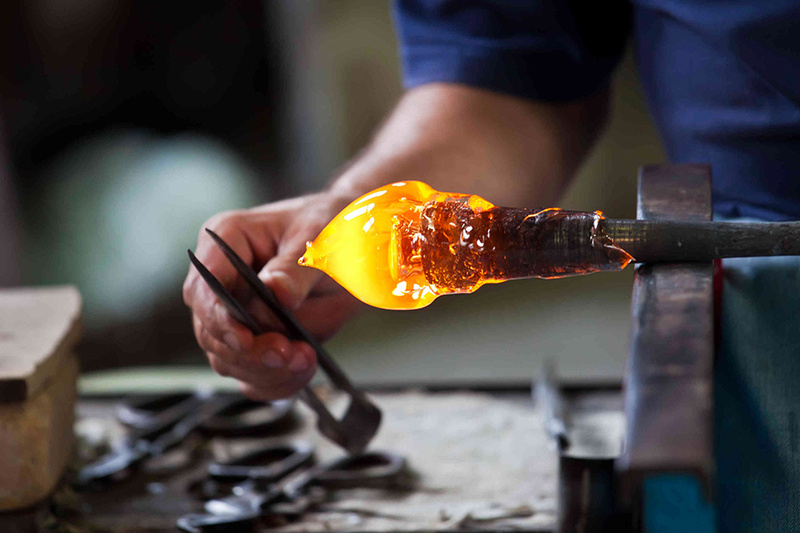 Head to Venetian Lagoon islands of Murano to discover the outstanding glass-making tradition and Burano famous for its handmade lace and its brightly colored houses. If you are feeling overwhelmed by the crowds in the city, head to Venice Lido, a long strip of land off the Venice coast lined with beaches, shops, restaurants, and night clubs. Indulge in delectable cuisine and dine at one of the many restaurants with magnificent views over the Grand Canal or the Giudecca Canal. 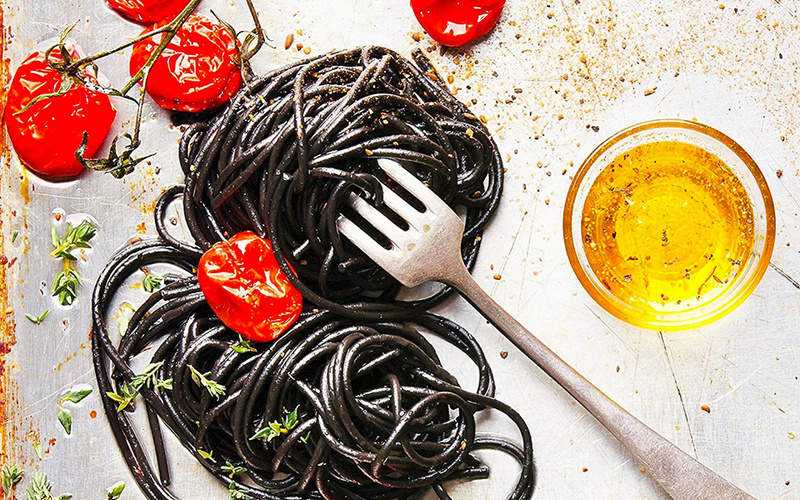 Among other delicacies, Venice is famous for its specialties of fresh lobster and squid ink spaghetti dishes, so make sure to try this culinary experience. Blend in with the locals and enjoy a cicchetto, a Venetian version of a tapas, small plates of tasty snacks usually paired with a glass or bottle of local wine. Try a Spritz, the most popular drink in Venice, a mix of wine, seltzer, and liqueur. Wine lovers should know that Veneto is the biggest DOC wine producer in Italy. Try the local red Valpolicella or the white Soave or Verduzzo. If you are up for a more authentic and local food experience head the Rialto fish market featuring an enormous variety of fish and shellfish. Located shortly past the Rialto Bridge the market stalls also sell fresh fruits and vegetables. Home to the Venice International Film Festival, the Venice Art Biennale, and the Venice Architecture Biennale, Venice is clearly a destination celebrating art and culture of various kinds and forms. From June to November Venice hosts the Art Biennale, a world-renowned event showcasing exhibitions and installations from major Italian and foreign artists. The entire city of Venice transforms into an even more enchanted place each year during February for the celebration of the Carnival. Tons of tourists and locals fill the piazzas and the main waterways of the city for two weeks of masked and costumed revelry. Don’t miss the Volo dell'Angelo ('flight of the angel'), when an angel flies along a rope over St. Mark's Square and engage in one of the private masquerade balls in one of Venice's grand noble palaces. 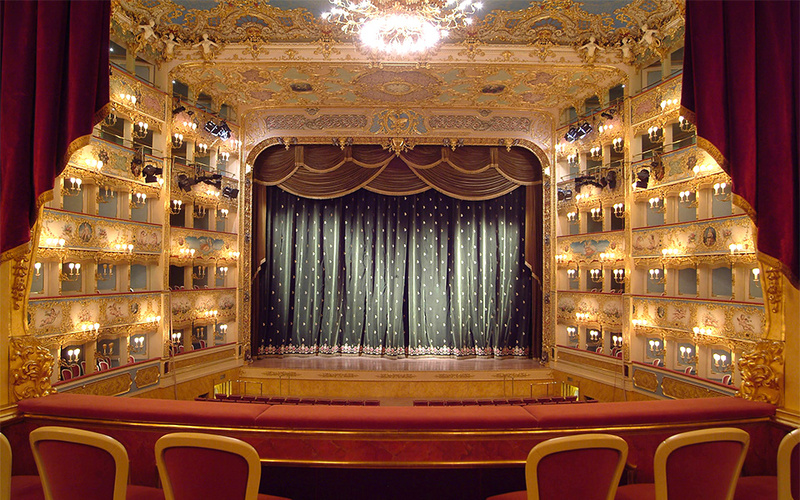 Attend a classical opera performance or a ballet at the magnificent Teatro La Fenice. If you happen to be in Venice during the third week of July, don’t miss the Festa del Redentore, a religious festival taking place on the island of Giudecca including the building of a pontoon bridge, fireworks and a gondola regatta. 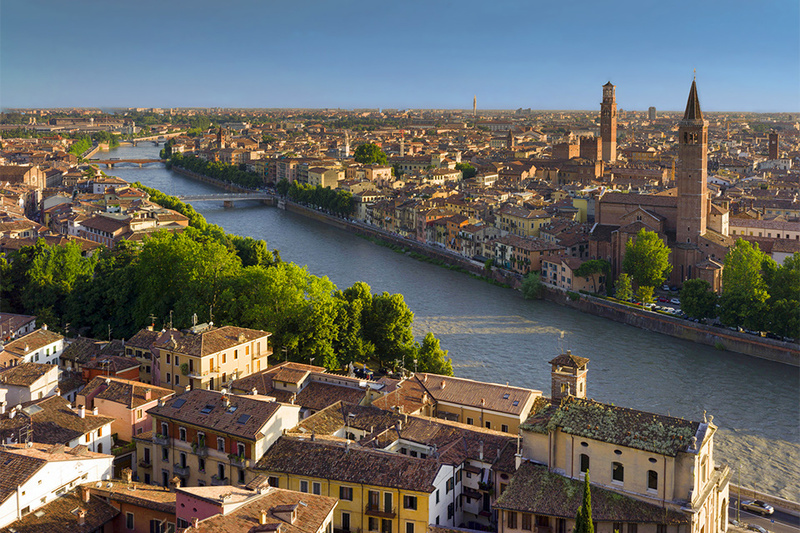 Situated East of Venice don’t miss the walled medieval city of Padua known for its long porticoes, ancient gates and mighty bastion as well as for the Basilica di Saint Anthony with the Scrovegni Chapel frescoes by Giotto. Enjoy a unique opera performance at the 2.000-year-old Roman amphitheater in Verona and discover this charming Roman town famous for the house and balcony said to belong to Juliet in the Shakespeare’s story, "Romeo and Juliet." Explore the canals and alleyways running though the unique medieval town of Treviso situated north of Venice. Narrow cobbled streets, frescoed churches, defensive walls, town gates, and the original moat, Treviso will let you experience the authenticity and history of a typical Veneto town. Vicenza is a destination for architecture enthusiasts, the famous Renaissance architect Palladio was born in this elegant town and designed 23 of its buildings, including Palazzo Barbaran da Porto that houses the Palladio museum. Don’t miss the Basilica Palladiana considered by many to be Palladio's masterpiece. Venice is home to some top shopping opportunities. Just a short walk away from St. Mark's square head to Salizada San Moisè or Calle Larga XXII Marzo for some world-class shopping. These streets host major chic Italian and international designer boutiques. Explore the prestigious area of shopping streets and boulevards of Le Mercerie extending from the Rialto Bridge to St. Mark's square, stores in this area include some of the most popular designer labels. Go to San Samuele area for some craft shops, leather goods and unique souvenirs. From the Burano laces to unique Murano glassware and jewelry the choice on the best souvenir to take home is wide. Venice will leave you awestruck no matter what time of the year. However, for those who prefer to escape the heavy crowds the best period to visit goes from September to November. Although the temperatures are cooler during this time, the empty canals and a more intimate atmosphere will make it worth it. The phenomenon of Acqua alta (floodings) may occurs during the colder months in winter. In spring the weather is at its best characterized by warm and sunny days. Summertime is peak season and the crowds are heavy as well as during February for the historical Carnival festival. These periods are also the liveliest ones with a great variety of cultural events providing a range of experiences for every visitor.